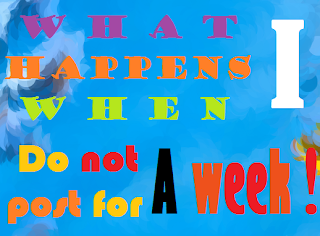 What happens when I do not post for a week? Ever wondered what happens when you do not blog for quite some time? When does your blog die, if you do not post anything? This article might go a long way solving your doubts. The following are the findings on an experiment conducted on a blog X during the period of Dec 14th 2012 to Dec 21st 2012. An experiment was proposed in which no changes were made on a blog for a whole week. The graph here depicts clearly, the demise of blog X when no articles were posted for a week. Observations for each day were noted based on the number of visitors arriving on the website. The trend started from December 14th from the time an article was posted, the website had 157 visitors the average number the website was getting throughout the month. Until December 21st no new blog post were added, no changes were made to the blog through CSS or HTML. 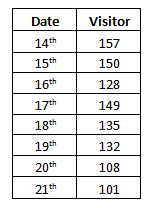 The following is a table depicting the visitors landing on the blog for each and every day for a week. The following table shows other parameters for Blog X and the changes after a week of inactivity from the blogger’s side. Now according to the equation the blog will lose all its visitors within 35 days. Since linear distribution is now considered as an old technique, the curve was also equated as a logarithmic which mimics the actual situation very well. According to the equation, visitors will stop coming to the blog in 55.9 or 56 days and the blog will be dead. The blog X under review was also analyzed through Google analytics. 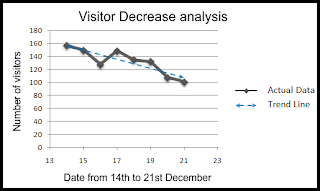 The page per visit of visitor decreased from 3.06 to 1.18. The average visit duration reduced from 2.22 seconds to 0.39 seconds. Worse the bounce rate increased from 43.18% to 90.91% which is bad enough. But there was an intriguing trend of the percentage new visits. 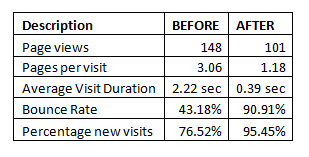 The percentage new visits increased from 76% to 95%. Does it mean loyal visitors suddenly lost interest in your blog? Possibly not, But there is no other confirmation sign, so the data might be incidental or coincidence. Several other tests will be performed and the results will be added and the article updated. About the visitor status, 76% visitors were new before and 23% were loyal returning visitors. 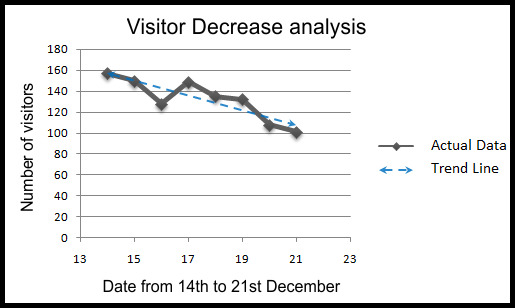 However, after the inactivity, visitors stopped returning and just 4.5% returned. This trait highlights the fact why visitors too need a regularly updated website. The experiment concludes that if the blog X is not heeded by the blogger, then within 35 to 55 days the blog will stop receiving visitors. The pages visited per visitor will come down to nil and the bounce rate will be near 100 percent.